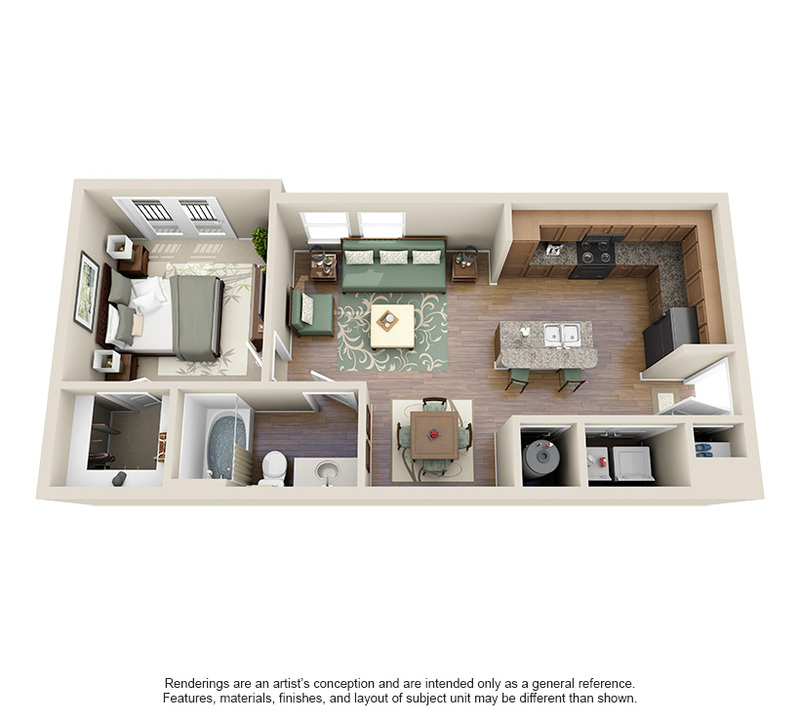 The Retreat at Quail North Apartments offers you three choices of two bedroom floor plans, the B1, the B2 and the B3. 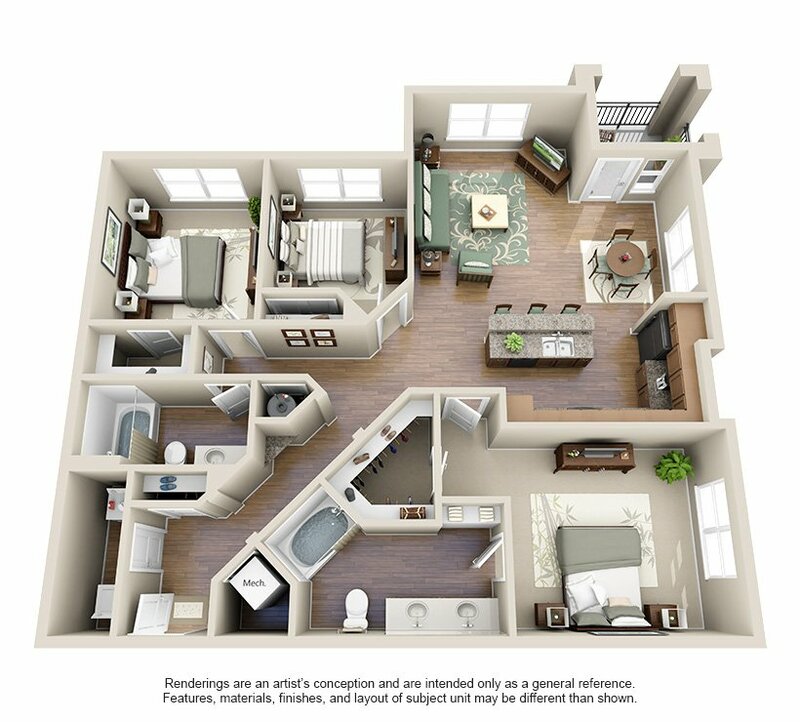 Each of our Oklahoma City apartment floor plans include two bedrooms, two bathrooms and a huge living room. 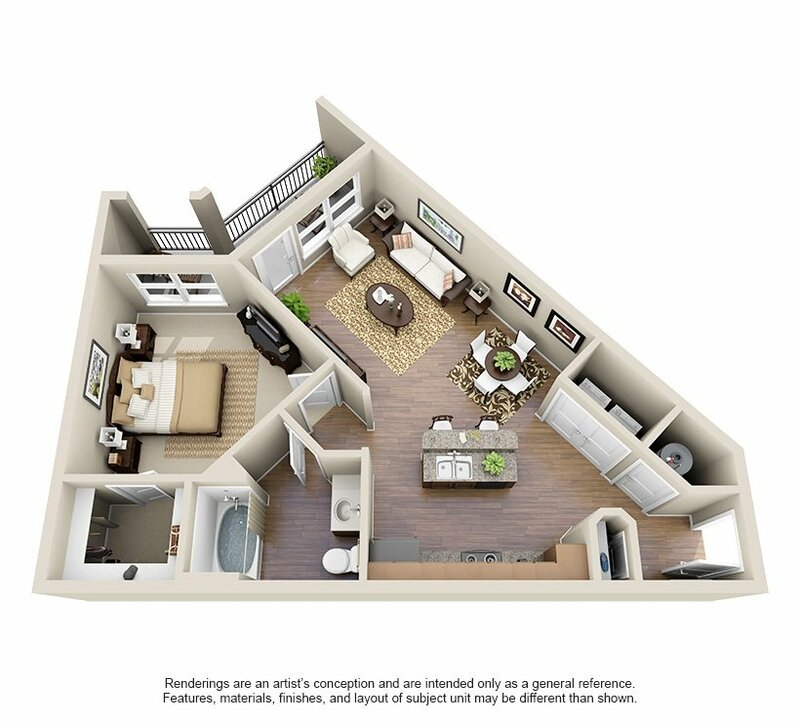 When it comes to choosing one of our amazing two bedroom apartment floor plans the amount of space is the only thing that you need to decide upon. 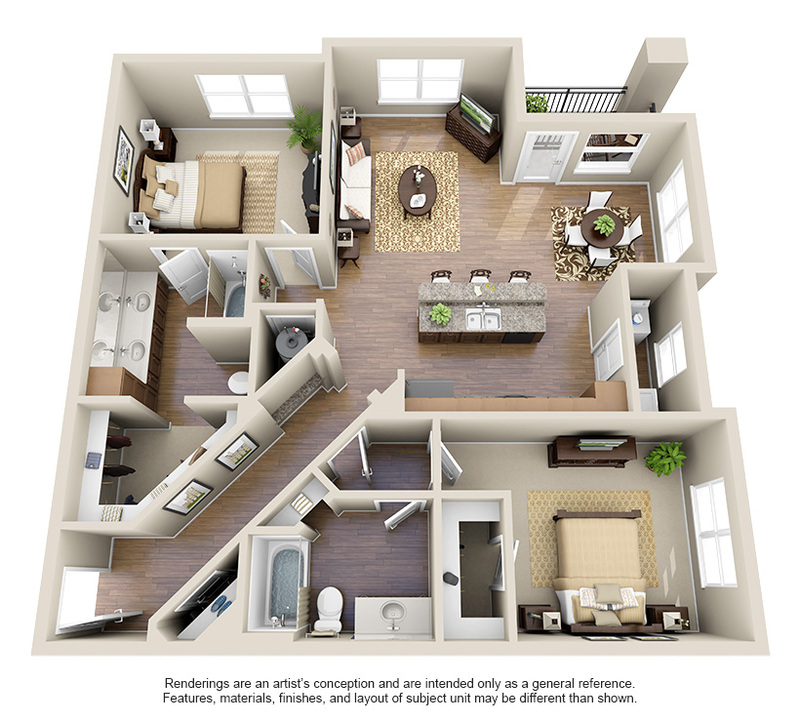 Choosing the B1 apartment floor plan grants you 1093 square feet of space. 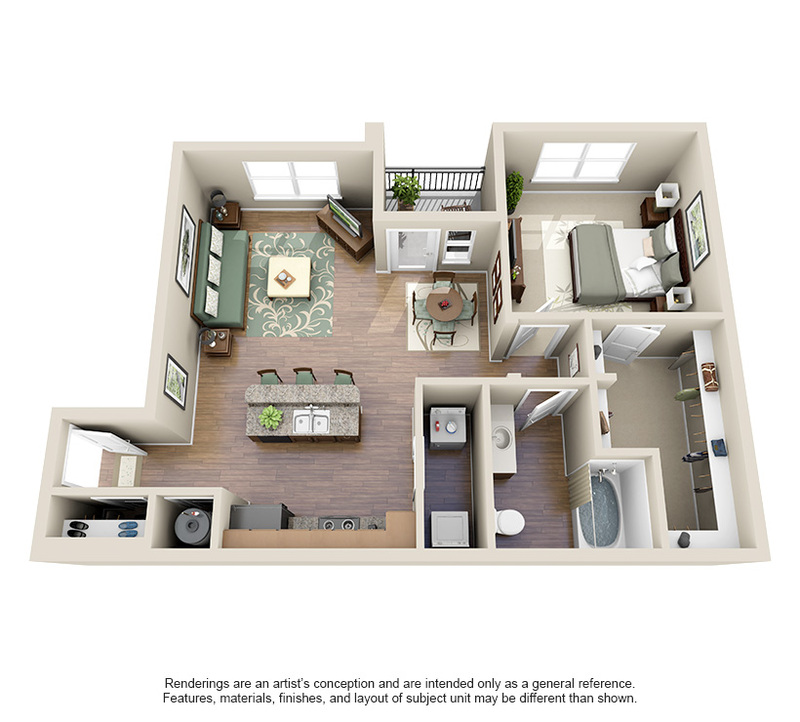 In the B2 apartment floor plans you will have access to 1175 square feet. 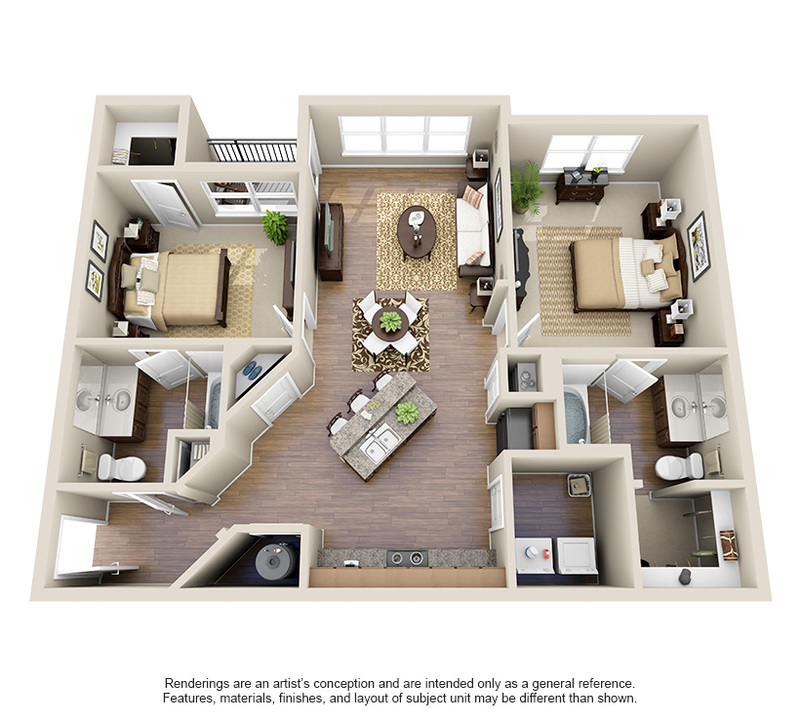 And by choosing the B3 apartment floor plan you gain the most space with 1265 square feet. 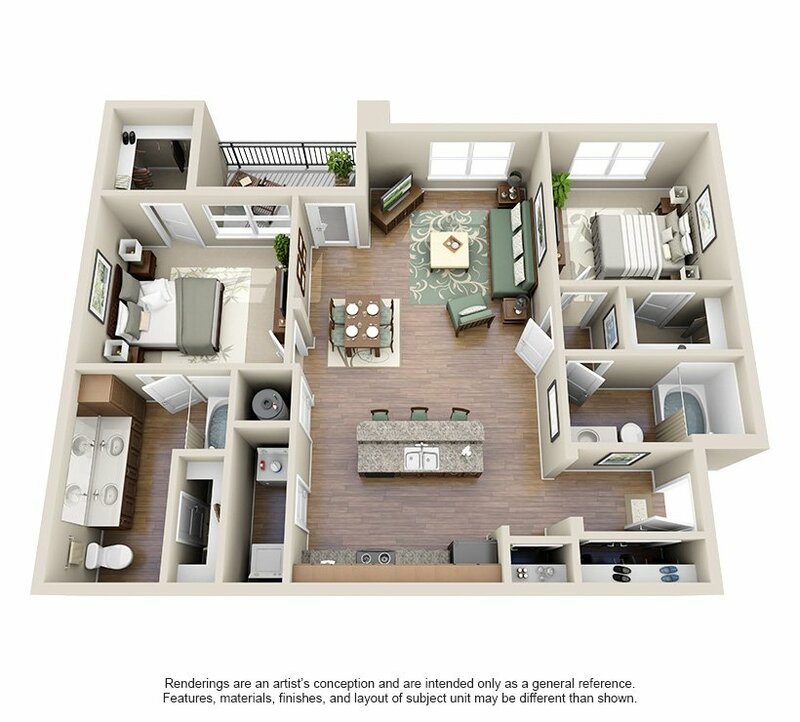 Schedule your tour today to discover one of our two bedroom apartments in Oklahoma City, OK.